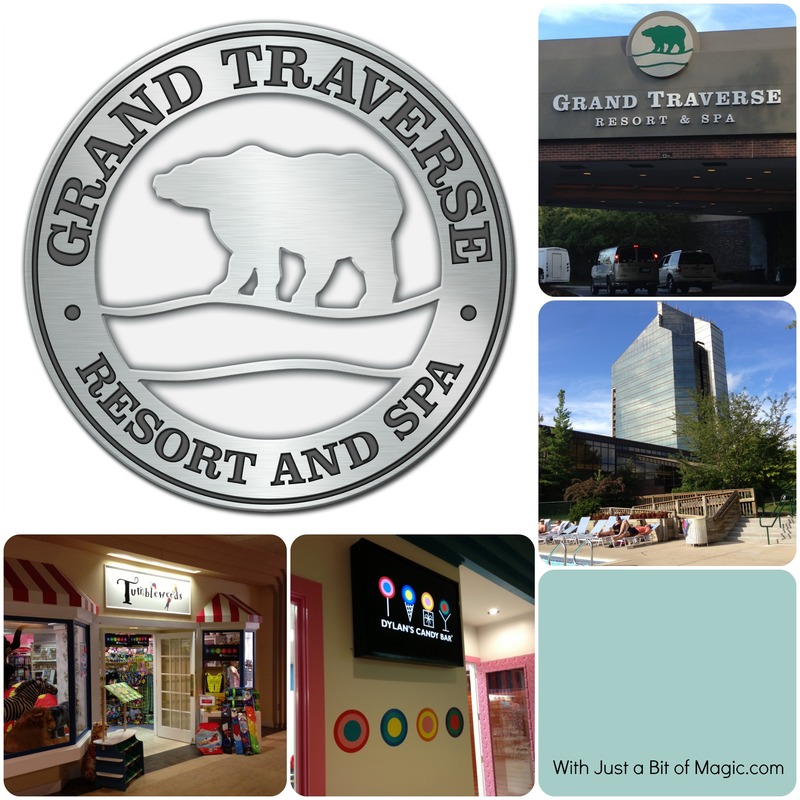 At the beginning of August I took a little trip to the Grand Traverse Resort with my family and I have to say that it was great! The place is simply amazing and definitely worth a visit when you’re here in Michigan. As a matter of fact… it has to be one of the top places to visit here in Michigan! Even if you don’t stay there it’s worth checking out … from Dylan’s Candy Bar, to the cute shops, and the amazing Aerie Restaurant on the 16th floor as well as the famous golf courses there is a lot to see and do. I have Melissa from Sippy Cup Mom to thank for this amazing trip and if you want to hear more about my mini vacation head on over to her place and read all about it! Better late than never, right? It’s still August so I’m slipping this one in just in time! Anyway, I can’t believe how fast this month… or even summer has flown by! Actually, the year in general seems to have flown by. It’s funny when I was younger I couldn’t wait to get older so I could do all the things I was told I couldn’t because I was too young and that time seemed to drag on until infinity. But now that I am finally older time is whizzing by so fast I barely know what’s going on anymore. By taking part in this meme that Emily from Emmy Mom does I’ve had time to really think about the past month and all that we’ve done and what I have to smile about. There really is a lot! 1. 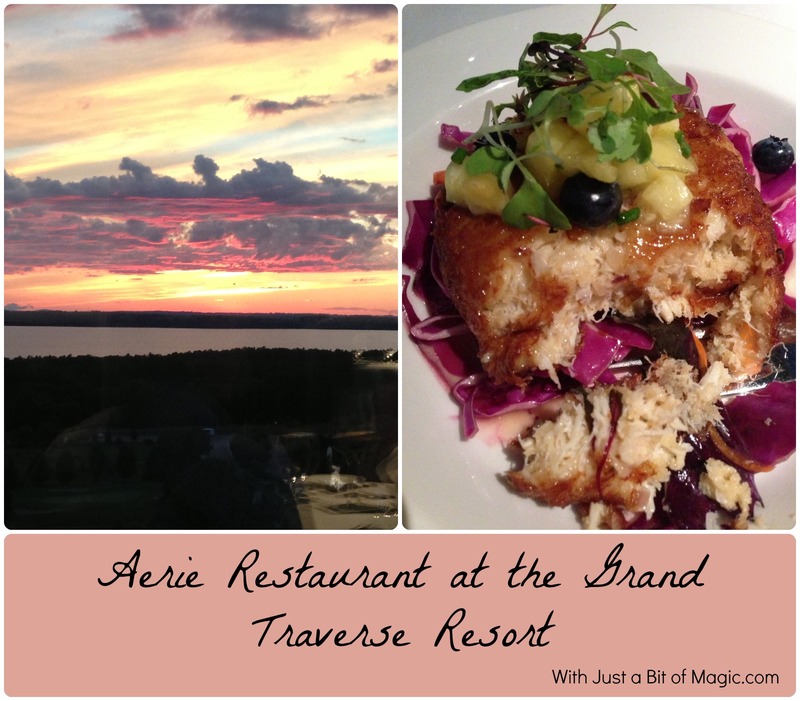 Dinner at Aerie at the top of the Grand Traverse Resort. This place is amazing and there was nothing about it that we didn’t love! 2. Spending a weekend at the Grand Traverse Resort. If you haven’t been to this area of Michigan yet…. go! Now. The Grand Traverse region is gorgeous and there is so much to see and do that you won’t want to miss out. 3. I don’t talk about my husband that often around here and he kinda whines about it. But all in all he is a good guy and does a lot for our family and I appreciate it. So, yes. That is something to smile about and not just in August. 4. Being able to get away for a weekend is amazing. 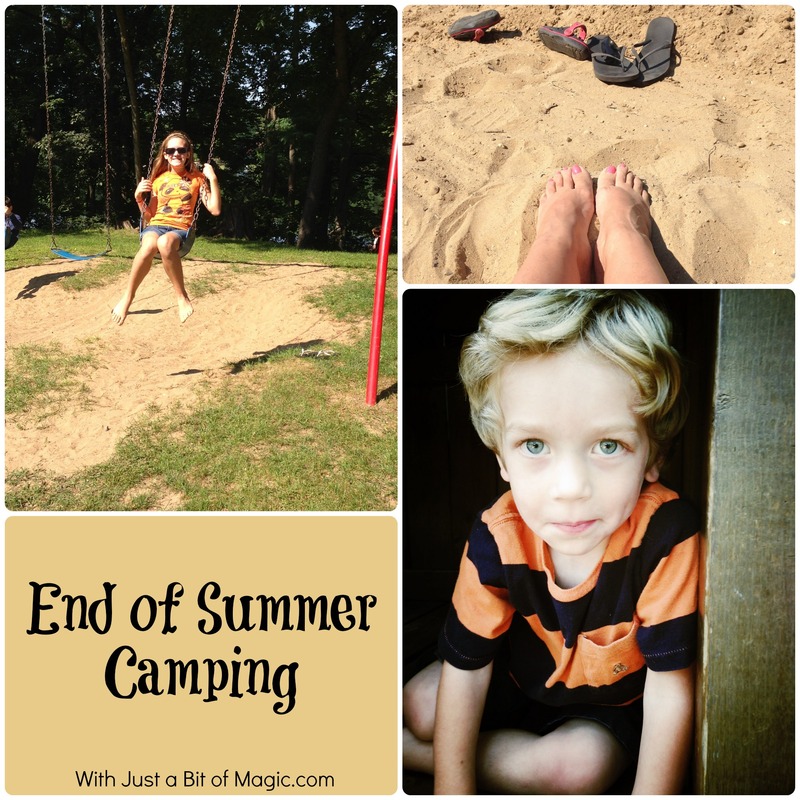 Now, camping is not my favorite thing but it is a cheap way to get out of town fast. So we go. BUT… I wouldn’t be doing it without a camper that’s for sure. 7. And that little guy… you never know what he ‘s thinking. But I do love that picture of him. It’s amazing how well an iPhone can take a picture. 8. Football & marching season is back! 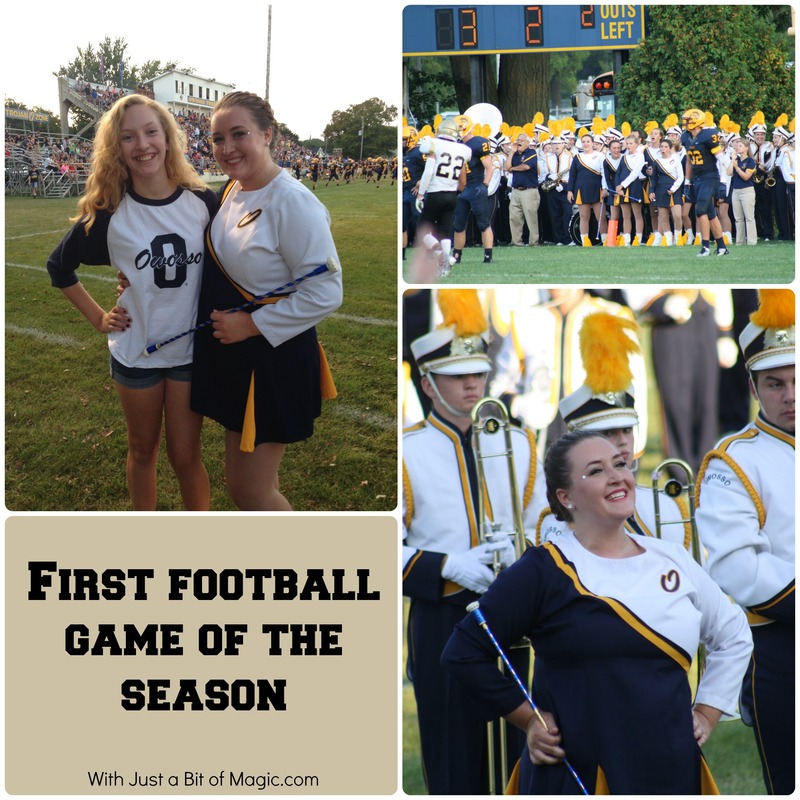 We had our first football game of the school year and school hasn’t even started yet! 9. The picture of my two oldest girls together just makes me smile and warms my heart. I love it that they’re such good friends. 10. School! I am looking forward to school and I know that my kids are too. It’s been a long summer and I think that everyone is ready to head back to school. What has happened in August that makes you smile?